No human made thing is immortal, and that especially goes for constructions that have to take the full-on wrath of Mother Nature. Roofs have to take on most of that damage since it covers the biggest area of your house. If a hail storm comes down on you, there are chances that the roof will take on damage and discoloration. This goes double if that has been going on for a while. To make sure the costs are as low as possible, the right course would be to repair it when it’s in the early state – and not let it blow out of proportions. The sooner you get to it, the better. Roof repair is, at first sight, a fairly vague term – and that’s because it’s difficult to always know for sure what’s wrong with your roof. You may have rust forming on a corner of the valley that needs repairing, or you may have had a tree that fell on your roof, destroying it. The causes are plenty – but that does not mean there isn’t a solution for every one of them. In order to find out what really needs fixing on your roof, you may want to call in a roof inspector to make a full assessment of the situation. They will tell you exactly what needs to be tackled so that the roof will look as good as new. In that respect, you may want to contact us – the experts from The Roof Doctors. We are professionals, and we know exactly what to do regardless of the gravity of the situation. No roof repairing job is too small or too big for us, and we will do everything in our power to ensure the roofing project is successful. No matter if you need a new paint coat, install a new gutter, or do a complete restoration of the roof, then The Roof Doctor has you covered. We have worked with many customers in Melbourne, Australia, but also in the surrounding cities. All of our clients gave us positive feedback, so if you don’t trust us, you can definitely trust them. General roof repairs are our specialty. Since we have a lot of experience in the field, we can deliver all kinds of roof repairs. We put a lot of stress on the artistry quality, and we are aware of how important it is to have a roof that looks (and acts) perfectly at all times. We know what you’re thinking: how can a roof act? That’s simple: it acts by protecting you from rain, snow, and other similar factors. Basically, it is your shield – your protector. But to keep protecting you, you need to take care of it. The reason why so many roofs don’t last through the years is that low-quality materials have been used. At the time, they looked pretty or were simply cheaper than anything else. At The Roof Doctor, we treasure durability over anything else. We will also make you aware of any problems that may arise by using a certain material. 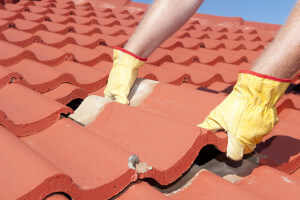 For instance, if you use tiles for roof repair, many other things can go wrong – which will require further repairs. These repairs may be anything from re-pointing to re-bedding and cleaning any build-ups of moss. So, do you have a leak that needs repairing? A few tiles that came off after the last hailstorm? Complete fixing after a meteorite came through your roof? No matter the problem, The Roof Doctor can find it by analysing the symptoms!